Samsung made an exclusive Fortnite skin for people who buy the new Galaxy S10, S10E, or S10 Plus phone. It’s K-pop-themed, and it’s modeled after Jung Chan-woo, a member of South Korean boy band iKon. You may not have heard of iKon, but just know it’s a seven-member band from YG Entertainment, which also brought bands like Big Bang and 2NE1 to fame. Like their predecessors, iKon mostly performs hip-hop, from catchy ballads to more straight-up rap. Chan-woo is known as the group’s youngest member, or the maknae, who’s usually unofficially responsible for bringing more cuteness to a group. It feels like Samsung is trying to incentivize more mobile gamers to buy the S10, boasting that its new Snapdragon 855 processor will translate into smoother gameplay. Whether you get the S10 or S10 Plus, Samsung is also throwing in Galaxy Buds as part of the bargain. Samsung’s partnership with Fortnite started last year when its devices were the first to get Fortnite on Android, which also included an exclusive skin for those who preordered a new phone. In addition to the new Fortnite skin, Samsung’s also partnering with Epic Games, Twitch streamer Ninja, and iKon for an upcoming gaming event in March. Gaming and K-pop seem to have a habit of crossing over. Last fall, Riot Games released a K-pop-like video and an augmented reality performance starring four champions from its lead game League of Legends. 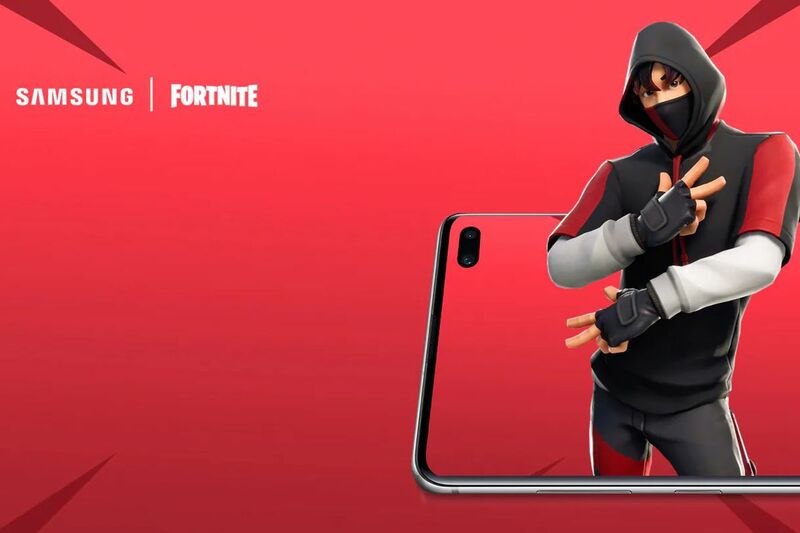 Correction March 5th, 12:36PM ET: This article has been corrected to reflect that the exclusive skin is available for anyone purchasing any phone from the S10 line. Based on information provided by Samsung, it previously stated the skin was only available to those buying the S10 Plus.